Inaccessibility to faith based Banking- Denial of a Constitutional Privilege?? "There have been from time to time demands for experimenting (with) Islamic banking. I would certainly recommend to RBI, which is looking into the question, to look at what is happening in Malaysia in this regard", - the then Indian Prime Minster Mr.Manmohan Singh was quoted as saying in the year 2010. Dr.Raghuram Rajan Committee, a high level Committee on the Financial Sector Reforms appointed by the Planning Commission, Government of India recommended that measures be taken to permit the delivery of interest-free finance on a larger scale, including through the banking system. That it would be possible, through appropriate measures, to create a framework for such products without any adverse systemic risk impact. Though these indicate that a shift, from the common perception that Islamic banking is not feasible under the Indian statutory and regulatory regime, seems to be gripping the political mind-set and regulatory outlook, nothing plausible ensued. The political leadership and consequently regulatory machinery continue to shelter behind the legal unviability argument which remains largely unchallenged. It appears that there cannot be more apposite a time to offer a legal challenge to the views on Islamic banking in the milieu of India.The Hon’ble Supreme Court of India in a decision rendered on 30 September 2010 observed –“The BR Act, 1949 is an Act enacted to consolidate and amend the law relating to banking. Thus, while interpreting the Act one needs to keep in mind not only the framework of the banking law as it stood in 1949 but also the growth and the new concepts that have emerged in the course of time”. The Hon’ble High Court of State of Kerala held in a decision dated 3 February 2011 that it is constitutional for an instrumentality of a state to partake in a Sharia’a Compliant business and that compliance with Sharia’a principles in addition with the laws of the country is not inconsistent with the secular principles as embodied in the Constitution of India. The ratio emerging from the submission of the question of sustainability of Islamic banking vis-à-vis the secular constitutional fabric of India to judicial scrutiny for the first time, for the enthusiasts of Islamic banking, is in affirmative. So, what is Islamic banking/finance?? ‘Islamic law’ (Sharia’a) covers all aspects of human behaviour. It is much wider than the Western understanding of ‘law’, and governs ‘the Muslim’s way of life in literally every detail, from political government to the sale of real property, from hunting to the etiquette of dining, from sexual relations to worship and prayer. In general, Islamic law (or Sharia’a) extends to the understanding of a believer’s rights and obligations vis-à-vis God, humankind, and the universe at large.As such it extends to the financial and commercial transactions engaged into by an Islam including banking. “While Islamic banks respond to the needs of Muslim customers, they are not acting as religious institutions. Like other banks they are profit-maximizing entities. They act as intermediaries between savers and investors and offer custodial and other services found in traditional banking systems”. However, what makes Islamic Banking distinct from conventional banking is that Islamic banking works in accordance with the prescriptions of Sharia’a. 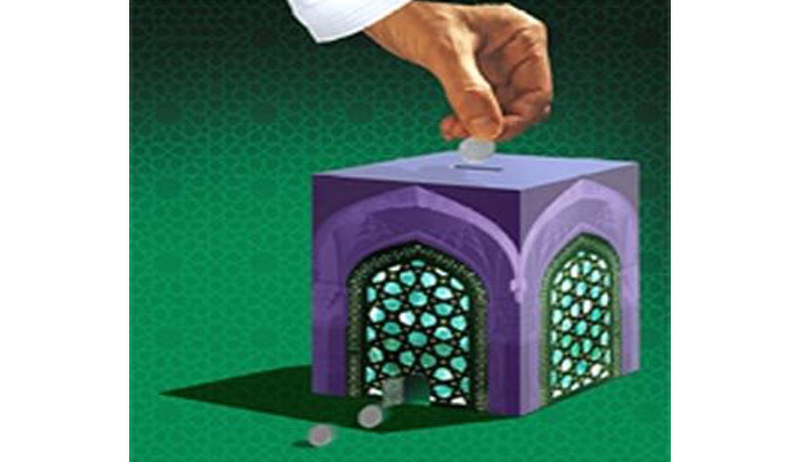 The foundations of Islamic finance are (broadly) based on 5 principles such as prohibition of riba (interest), prohibition of gharar (uncertainty) and maysir (speculation and random), prohibition of investment in haram (illicit) activities, tangibility of assets and Sharing of profits and losses. The Organization of Islamic Conference (OIC) defined Islamic banking as “a financial institution whose statutes, rules and procedures expressly state its commitment to the Principles of Islamic Shariah and to the banning of the receipt and payment of interest on any of its operations”. The transactions are so structured so as to ensure compliance with Sharia’a. “In Islamic finance, interest-bearing contracts are replaced by a return bearing contract, which often takes the form of partnerships. Islamic banks provide savers with financial instruments that are akin to equity called Mudaraba or Musharaka. In these lending arrangements, profits are shared between the investors and the bank on a pre-determined basis”. The banking system compatible to Sharia’a principles based on two-tier Mudarabah comprise of a contract in between depositor and banker whereby the parties agree to share the profits accruing to the bank’s business. It can be seen that the ban on interest and the structuring based on profit and loss sharing accounts for the fundamental difference in between conventional and Islamic banking. Islamic banking though serves the purpose as that of a financial intermediary akin to conventional banking; it is the said structure of Sharia’a compliant transactions that invite statutory and regulatory road block especially in non- Sharia’a compliant and secular countries. The position is same with India too, being a secular country with a robust statutory and regulatory regime especially in financial sector. Banking sector in India is governed by a series of legislations such as Banking Regulations Act, 1949, Reserve Bank of India Act, 1934, Negotiable Instruments Act 1881, and Co-operative Societies Act 1961. In addition it is regulated by RBI and SEBI Regulations. The basic characteristics of Sharia’a compliant banking are unknown to Indian banking practices and to the regulatory machinery. As far as India is concerned, due to the constitutional mandate of being a secular country any search into the compatibility of Sharia’a compliant banking shall be commenced from a Constitutional view point. Is Islamic banking constitutional in India? This question would have generated a mixed response from the legal luminaries if asked prior to the pronouncement of a landmark decision by Hon’ble High Court of Kerala. This judgement has alleviated various concerns regarding the conflict of Islamic finance principles with the doctrine of secularism as enshrined in the Constitution of India. The judgement’s importance lies in the fact that it not only holds that Islamic finance is constitutional in India but also that the association of State or its instrumentality with a Sharia’a compliant business is not contrary to the Constitutional requirement that the State should be a secular State. The main challenge, as far as relevant to the topic covered in this paper, raised in the writ petition challenging the decision of Govt. of Kerala and its instrumentality, KSIDC to contribute for share capital of a sharia compliant institution is that it is directly contrary to the mandate contained under Article 27 of the Constitution of India. The business proposed to be carried on was one of Non-Banking Financial Service as defined under Section 45-I (a) of The Reserve Bank of India Act (RBI Act). It was also contended that the proposed business is one that is not permissible under Chapter III B of the RBI Act. A brief narration of facts is essential before commenting on the aspects of the judgement and its possible effect on Islamic finance in India. ‘The Government of Kerala based on the realisation that The Islamic Financial Services (IFS) Industry has grown substantially over the years forming a significant segment within global financial services and is generating lot of interest as an alternative model of financial intermediation entrusted KSIDC with conducting studies and looking into various aspects of formation of an Islamic investment company in Kerala for attracting investments in a right manner as per the Sharia’a of the Muslim community for the development of the common public at large. The professional studies conducted on this project have concluded that there is a genuine commercial potential for an Islamic Financial Institution based in Kerala that has the potential to become a global player. The Board of KSIDC had approved a share contribution amounting to 11% of the initial paid up Share Capita of the proposed company and decided to proceed with further steps for registration of the company for promoting the Islamic Financial Institution’. It is at this juncture the instant petition was filed challenging, inter alia, the constitutionality of the decision of Government of Kerala. ‘The case of Government of Kerala and KSIDC was that the impugned decision was taken in order to garner huge amounts of unutilised funds from the Gulf countries available with the non-resident Indians working in those countries with a view to utilise such funds for the investment in the State of Kerala for the development of its people by promoting and providing financial assistance to the industries in the State of Kerala. That the business of the proposed company would be conducted strictly in accordance with the law of the country and as such intention to additionally comply with Shariah principles will not render the activity of the company inconsistent with secular Constitutional principles’. The High Court while indulging in a detailed investigation aimed at gathering a clear understanding of the expressions "secularism", "religion", "secular activity associated with religious practice", explored the landmark decisions of the Hon’ble Supreme Court of India and other High Courts in this sphere. The Court observed that the Constitution of India recognizes the distinction between practices which are essentially religious and activities which are secular such as economic, financial and political which are amenable to regulation by law, but associated with religious practice. Further that Under Article 298, it is declared that the executive power of the Union and of each State extends to carrying on of any trade or business and also to acquire, hold and dispose of property and making of contracts for any purpose and as such it would be illogical to restrict the commercial interaction of the State even with a religious denomination, on the ground that it is inconsistent with the declaration that the State should be a 'Secular Republic'. The Court held that there is no constitutional infirmity in the impugned action of Government of Kerala observing that the Constitution of India does not adopt the doctrine of “Wall of separation”. It was also held that the act of the Government of Kerala is not violative of Article 27 as the intention of the Government is to employ the returns from the business activities for the general welfare of the State of Kerala and not for any religious purposes. It was further contended on the strength of the affidavit filed by Union of India stating that the current statutory and regulatory frame work (of the Country) is not feasible for Islamic Banking Activities including NBFC’s. The Court rejected this contention, accepting the contention of Government of Kerala held that while considering the constitutionality of the impugned action it need not concern itself with the question of violation of any relevant statute and that as such the said question is to be considered by RBI before whom the approval application is pending. The Court also did not decide or express any view on the question if principles of Shariah which the Respondents propose to comply with while carrying on the business are inconsistent with the mandate of secular State contemplated by the Constitution of India or the laws of India on the grounds of lack of specific pleadings & on relying on the submission of the Respondents’ that the business would be conducted strictly in accordance with the law of the land. However, it could be inferred from the observation made in Para 42 of the judgement that a Court of Law is unlikely to interfere merely on the grounds of compliance with Shariah principles if such compliance is in addition to the compliance with the law of the land. It makes it abundantly clear that Islamic banking especially Sharia’a compliant banking through Islamic windows can be prevented in India only if the regulators can point out a legal provision expressly barring a specific Sharia’a compliant product offered through Islamic windows. Is Islamic banking permissible under the existing statutory & regulatory framework? The position that Islamic banking per se is not violative of Constitution of India drives us to the question as to the conflict Islamic banking can possibly have with the Indian statutory regime. It would be a misnomer to use the term Islamic banking while undertaking an investigation of a conflict with Indian laws. Indian statutes do not have anything that prevents “Islamic banking” per se provided such banking complies with statutory and regulatory framework governing the sphere. As such it is not the concept of faith oriented (Islamic) banking that is facing statutory and regulatory road blocks in India but the practices , based on profit loss sharing and prohibition of cash to cash transactions, followed while perpetuating Islamic banking that is prima facie seen as unfeasible. This section would analyse the impact of the primary legislation governing banking in India, the Banking Regulation Act, 1949 on the practices followed in Sharia’a compliant banking practices. The principal statute that governs banking is Banking Regulation Act, 1949 (BR 1949). The purpose of BR 1949 is to consolidate and amend the law relating to banking in India. It is essential to understand certain provisions of BR 1949 that is widely perceived as fundamentally preventing Islamic banking in India. BR 1949 defines “banking” in a comprehensive manner in order to bring within its purview all such institutions that receive deposits for lending or investing. BR 1949 also provides Reserve Bank of India (RBI) with power to regulate banking companies. Banking is defined to mean accepting deposits to lend. BR 1949 further provides that a banking company may engage, in addition to the business of banking, in any one or more forms of business as enumerated in sub-clauses (a) to (o) of Section 6(1). The said clauses cover, inter alia, borrowing, lending, advancing of money, acquiring, holding and dealing with property (security) or right, title and interest therein; selling, improving, leasing or turning into account to otherwise dealing with such security; doing all such other things as are incidental or conducive to the promotion or advancement of the business of the company and any other form of business which the central government may notify. Section 8 of BR 1949 contains a prohibitory provision whereby it is provided that no banking company shall deal in the buying or selling of goods except in connection with the realization of security. Section 9 of BR 1949 further deals with disposal of assets which prescribes for mandatory disposal of certain non-banking assets. It is pertinent to note that both Ss.8 and 9 are notwithstanding the provisions of s.6 (1). The provisions of BR 1949 conscripted herein above, appears prima-facie as conflicting with the principles of Sharia’a upon which Islamic banking is founded. The definition of banking as per s.5(b) of BR 1949 has three limbs to it, such as (i) acceptance of deposits of money from public (ii) acceptance of deposits is for the purpose of lending or investment (iii) repayment of such deposits on demand or otherwise. Thus, “banking”, contemplates inter alia, lending of deposits of money from public, but in Islamic Banking, as it may prima-facie appear and resorted to as an argument by anti-enthusiasts of Islamic Banking , the bank accepting deposits of money from public is not engaged in lending or the pure financial activity in a conventional manner, but is engaged in equity financing and trade financing (Musharaka and Mudaraba), i.e. taking risk of sharing profits or losses as against lending (where there is no risk of loss and only profit in the form of interest at a specified rate). Islamic banks resort to purchase and resale of properties, which might appear contrary to the provisions of Ss.8&9 of BR1949. The stipulation that banks shall not deal in immoveable property other than for own use in s.9 might appear contrary to structures like Ijarah. “By definition, an Islamic bank abides by Islamic law, the Sharia’a. The literal meaning of the Arabic term Sharia’a is ‘the way to source of life’ and in a technical sense, it is now used to refer to a legal system in keeping with the code of behaviour called for by holy Qur’an and the hadith (the authentic tradition). Muslims cannot in good faith compartmentalise their behaviour into religious and secular dimensions, and their actions are always bound by the Sharia’a. Islamic law thus embodies an encompassing set of duties and practices including worship, prayer, manners and morals, marriage, inheritance, crime and commercial transactions”. As such in light of the decision rendered in Subramanian Swamy v State of Kerala, the above argument can further be stretched to content that reluctance on the part of RBI to allow Islamic windows will amount to denial of Constitutional privilege to some and hence such act of RBI is unconstitutional. Sharia’a compliant banking ipso facto is not violating the Constitution and as such a narrow import of s.8 BR1949 would in fact amount to denial of certain constitutional rights to a citizen/person who is bound to follow the principles of Sharia’a in all walks of one life. The ratio of Subramanian Swamy case r/w ICICI Bank case abundantly proves that Islamic banking is constitutional in India and that RBI has a positive mandate on it to facilitate banking business so as to expand the same. Of course it is with the proviso that the intended transaction shall be bonafide. Any argument that a Sharia’a compliant transaction would not be a bonafide banking transaction would sound unreasonable and illogical to any man of prudence. However, it may be noted that even if RBI as a regulator allows Islamic Banking windows, there are other statutory obstacles. The most fundamental one would be the application of double stamp duty and taxation. The issue of stamp duty is more complex as the Constitution of India divides the power to levy stamp duty between Union and the State. Under the Constitution of India, the power to levy stamp duty is divided between the Union and the State. The Central Government has the power to levy stamp duty on the instruments specified in Article 246 read with Schedule VII, List I, Entry 91 and the State Government has the power to levy stamp duty on instruments falling under Article 246 read with Schedule VII, List II, Entry 63. As such amendment of the applicable provisions in each state would amount to a herculean task considering the divergent political and economic conditions prevailing in India. It could be possible to structure an Islamic banking transaction so as to avoid double stamp duty as opined by legal experts. Such views predominantly may be based on the fact that multiple transactions involved in an Islamic Banking transaction is in fact multiple legs of same transaction and multiplicity is not for undertaking a sham transaction so as to avoid stamp duty. The provisions permitting in transit sales can also be explored for getting over the issue of double taxation on sales of moveable goods. I would conclude by stating that the flexibility Sharia’a compliant banking possess with respect to product designing and reengineering shall be utilized by the stakeholders to commence Sharia’a compliant banking through Islamic windows which appears in principally permissible, as aforesaid. We being anextremely complex country, politically and legally, a formal regulatory approval might take eras especially in the back ground of absence of any Islamic banking activities through Islamic windows. As such the Islamic finance experts, bankers and regulators shall strive for striking a consensus. The regulators shall lead, especially when we have sorts like Mr.Raghuram Rajan, who is in favour of ‘interest free banking”, heading RBI. The regulators and political leadership shall introspect why a financial committee headed by an economist was forced to use the term “interest-free banking” substituting “Islamic finance”. Mr. Narendra Modi, the Prime Minster who enjoys the mandate of a majority, purportedly aims for an inclusive and sustainable growth trajectory. Probably, a single point remedy lies in promoting Islamic finance. It might help in winning the confidence of a minority and in driving an inclusive and sustainable financial growth beneficial for the majority. IN OUR CONSTITUENT ASSEMBLY this twenty-sixth day of November, 1949, do HEREBY ADOPT, ENACT AND GIVE TO OURSELVES THIS CONSTITUTION’. Art.27, Constitution of India- ‘Freedom as to payment of taxes for promotion of any particular religion.- No person shall be compelled to pay any taxes, the proceeds of which are specifically appropriated in payment of expenses for the promotion or maintenance of any particular religion or religious denomination’. See para 20, Dr. Subramaniam Swamy v State of Kerala, 2011(1)KLT807 & RBI Act, Chapter III B of the Reserve Bank of India Act, 1934 was introduced by the * amendment Act 55 of 1963. It deals with various aspects of the regulation of the business of "non-banking financial institutions"
Established in 1961, Kerala State Industrial Development Corporation Ltd. (KSIDC) is a wholly owned company of Government of Kerala "to promote, establish and execute industrial projects and enterprises for the economic and industrial development of the State of Kerala" and also "to aid, assist and finance any infrastructure projects or enterprises or other projects and to promote and establish companies and associations of private or public character"
 Preamble of Banking Regulation Act, 1949- ‘An Act to consolidate and amend the law relating to banking. (c) contracting for public and private loans and negotiating and issuing the same; (d) the effecting, insuring, guaranteeing, underwriting, participating in managing and carrying out of any issue, public or private, of State, municipal or other loans or of shares, stock, debentures, or debenture stock of any company, corporation or association and the lending of money for the purpose of any such issue; (e) carrying on and transacting every kind of guarantee and indemnity business; (f) managing, selling and realising any property which may come into the possession of the company in satisfaction or part satisfaction of any of its claims; (g) acquiring and holding and generally dealing with any property or any right, title or interest in any such property which may form the security or part of the security for any loans or advances or which may be connected with any such security; (h) undertaking and executing trusts; (i) undertaking the administration of estates as executor, trustee or otherwise; (j) establishing and supporting or aiding in the establishment and support of associations, institutions, funds, trusts and conveniences calculated to benefit employees or ex-employees of the company or the dependents or connections of such persons; granting pensions and allowances and making payments towards insurance; subscribing to or guaranteeing moneys for charitable or benevolent objects or for any exhibition or for any public, general or useful object; (k) the acquisition, construction, maintenance and alteration of any building or works necessary or convenient for the purposes of the company; (l) selling, improving, managing, developing, exchanging, leasing, mortgaging, disposing of or turning into account or otherwise dealing with all or any part of the property and rights of the company; (m) acquiring and undertaking the whole or any part of the business of any person or company, when such business is of a nature enumerated or described in this sub- section;(n) doing all such other things as are incidental or conducive to the promotion or advancement of the business of the company; (o) any other form of business which the Central Government may, by notification in the Official Gazette, specify as a form of business in which it is lawful for a banking company to engage. (2) No banking company shall engage in any form of business other than those referred to in sub-section (1). Explanation — For the purposes of this section, "goods" means every kind of movable property, other than actionable claims, stocks, shares, money, bullion and specie, and all instruments referred to in clause (a) of sub-section (1) of section 6’. Provided further that the Reserve Bank may in any particular case extend the aforesaid period of seven years by such period not exceeding five years where it is satisfied that such extension would be in the interests of the depositors of the banking company. Definition as per AAOIFI (Accounting and Auditing organisation for Islamic Financial Institutions) - “It is a partnership in profit between capital and work. It may be conducted between investment account holders as providers of funds and the Islamic bank as a mudarib. The Islamic bank announces its willingness to accept the funds of investment amount holders, the sharing of profits being as agreed between the two parties, and the losses being borne by the provider of funds except if they were due to misconduct, negligence or violation of the conditions agreed upon by the Islamic bank. In the latter cases, such losses would be borne by the Islamic bank. A Mudaraba contract may also be concluded between the Islamic bank, as a provider of funds, on behalf of itself or on behalf of investment account holders, and business owners and other craftsmen, including farmers, traders etc. Mudaraba differs from what is known as speculation which includes an element of gambling in buying and selling transactions. (It is to the former that this standard applies)”. Vipin Warrier is currently engaged as the Group Legal Counsel of a Finnish MNC and in this capacity he manages the legal affairs of the Finnish group globally. He has an LLM in Corporate Finance Law from University of Westminster, London to his credit. He has studied Islamic Finance as part of his LLM programme.